HIGH prices, hard scrambling for the daily dollar got you hectic? 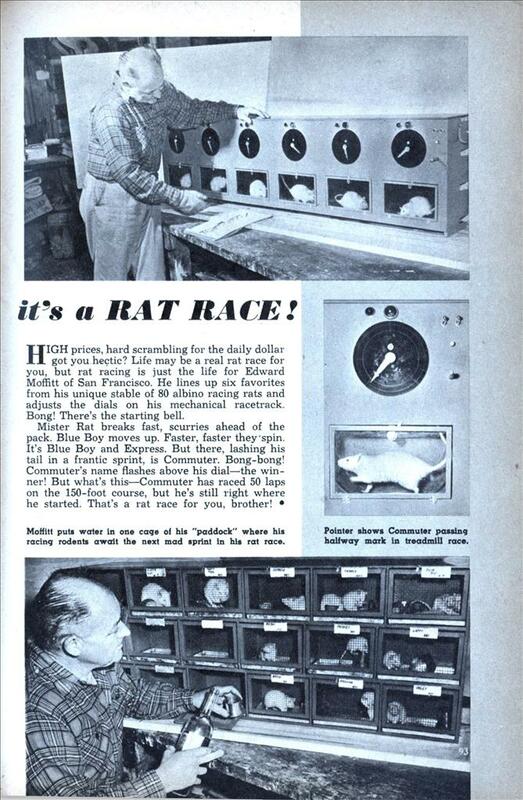 Life may be a real rat race for you, but rat racing is just the life for Edward Moffitt of San Francisco. He lines up six favorites from his unique stable of 80 albino racing rats and adjusts the dials on his mechanical racetrack. Bong! 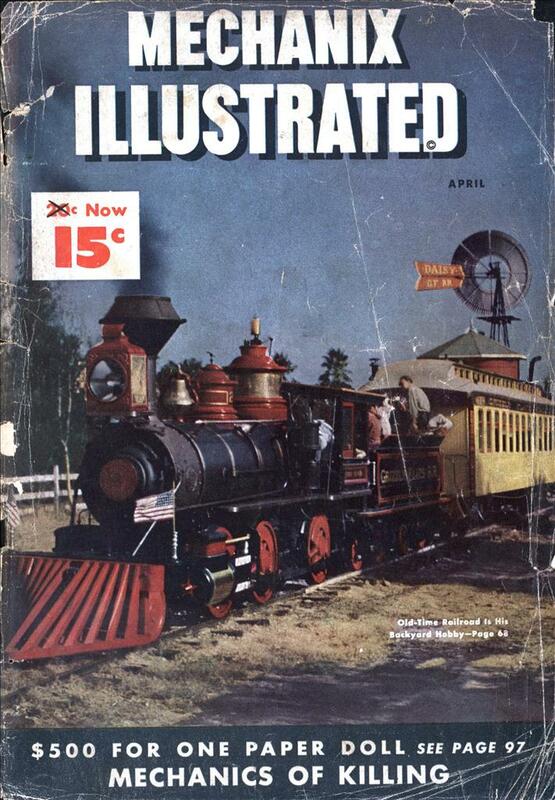 There’s the starting bell. You can win at the rat race, however when it is over, you’re still a rat. Why didn’t this catch on? I’m sure this is more interesting than Snail Racing….